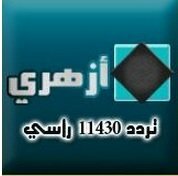 News TV Channel / Azhari channel is the first religious channel in support of the Azhar and Al Nahjah approach to its Azhari channel. It calls upon God with wisdom and good exhortation, and works to highlight and present the Azhar religious talents, and to confront the currents and intellectual and religious methods. Azhari TV, a new satellite television channel launched in August 2009 during the start of Ramadan. The channel aims to discourage extremism and promote the moderate face of Islam.